Dr. Fred Haight was born in Petaluma, California in 1969 but realized he was missing out on the great state of Texas and got here as soon as he could! He graduated from McKinney High School in 1987 and graduated as a dentist from The University of Missouri-Kansas City Dental School in 1993. He opened Haight Family Dentistry in 1995 and relocated to his current location on Preston Road in 2004. Dr. Haight is passionate about dentistry and promoting good oral health. He makes every effort to find the most conservative approach to help his patients. He strives to create a welcoming atmosphere in the office and you’ll feel the difference as soon as you walk through the doors! Dr. Haight has been married to his wife and high school sweetheart, Alicia, for 29 years. Soon after they were married they realized their need for God and both made a life-long commit to becoming Christians in 1989. Dr. Haight is not only knowledgeable about dentistry, but also loves to teach Early Church History, particularly the first 300 years. They are devoted to teaching and serving those around them, which makes for the ideal doctor to work for! They currently reside in Melissa, TX and have been there since 2003. 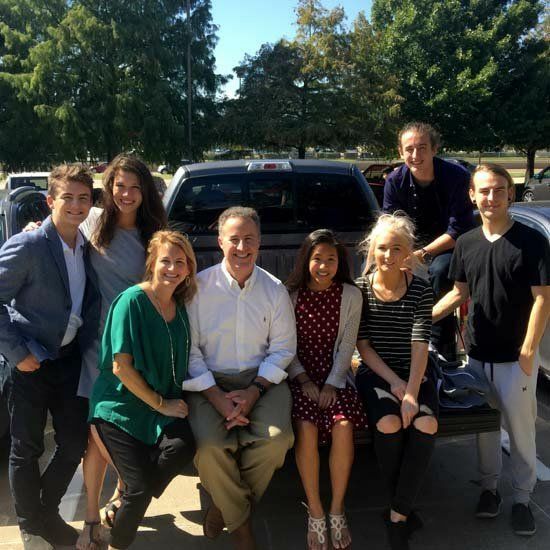 They have four wonderful children, Willie (23), Jack (20), Peter (18), and Abigail (16), as well as their sweet daughter in laws, Celsey and Leslie. In his spare time, Dr. Haight likes to watch the Dallas Cowboys play football (hopefully this year they’ll make a come-back) and enjoys spending quality time with his family traveling. A few times throughout the year he will take his family on Dental Mission Trips providing dental work for the under privileged in Haiti. Dr. Haight truly takes care of those around him, so go on and schedule your appointment today!